The key to a productive and effective home project list is to put your family’s health first. Every household has its honey-do list, but inevitably you’re not always going to have time to cross off every project on it. Start with the projects that will have an immediate effect on creating and maintaining a safer and healthier home. Take a look at your project list, and re-order where necessary. Bigger projects and goals should be moved to the end of the list, and smaller–more manageable–jobs moved to the top. Choose tasks that improve your family’s health and well being, making them a priority makes completing your project list easier. Bathroom and kitchen exhaust fans play an important role in reducing moisture in the home. Conduct a simple test by turning on the exhaust fan and placing a tissue up to the vent to check the strength of your vent fans. The fan should be strong enough to hold the tissue in place. Fans not working properly are ineffective at controlling smoke and humidity, and allow fumes, moisture, and pollutants to circulate and settle throughout the home. Inspect flue pipes—also known as stove pipes, smoke pipes, and chimney connectors—on a quarterly basis for cracks or holes. Cracks in the pipes allow fumes and gases like carbon monoxide to enter the home rather than be funneled outdoors. If the pipes are cracked or corroded, call a professional to inspect them and possibly replace the pipes, as it may be a sign of a larger problem. Help clean the air in your home and remove airborne particles, such as mold spores, dust mite debris, bacteria, and viruses by using an air filter such as a Filtrete Ultra Allergen Reduction filter. Local clean air specialists, JD’s Equipment Service, reminds families “to change their filters every other month, and as often as every month for families with pets and allergies.” The American Lung Association says that poor indoor air quality in the home can cause headaches, dry eyes, nasal congestion, nausea, and fatigue. Test your carbon monoxide and smoke detectors every month, and change the batteries at least twice a year. Don’t wait until the detectors are chirping, as that sound usually means the batteries are about to die and your family will no longer be protected. Remember, you can sometimes see smoke in the home, but you can’t see or smell carbon monoxide. Regularly check gutters for leaves, pests, and other excess debris, and clean them out using a rake and hose at least twice a year. (Be careful not to push water underneath your shingles.) 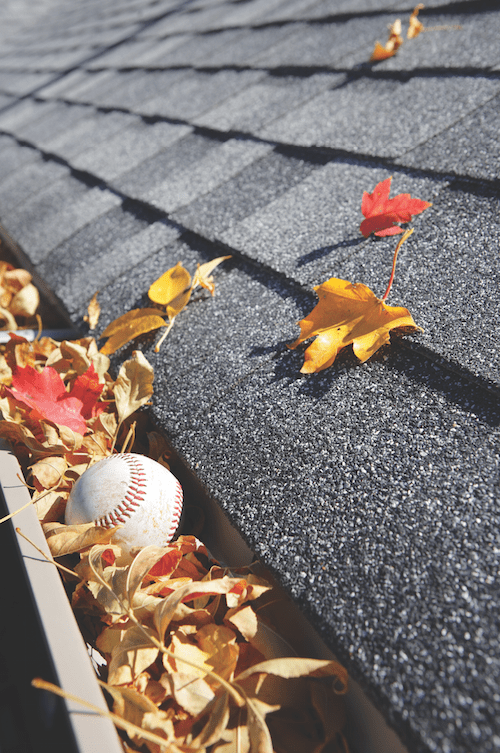 Neglected gutters may not drain properly and pose a risk of detaching and leaking water into the home. In addition to structural damage, the leaks provide breeding grounds for mold to grow in areas like ceilings and basements. Remove trash and clutter from around the home and be sure not to let it build up for more than a few days. Unattended trash can be a breeding ground for pests and parasites that carry bacteria and viruses into the home. Routine carpet cleaning is a great way to decrease allergens in your home. Schedule a service visit to let an expert determine the best methods for keeping your carpets clean, and maintaining a healthy environment for your family. Inspect your home using a moisture meter to locate hidden areas containing moisture that you can’t see with the naked eye. Mold thrives in areas of the home where moisture is present and can cause hay fever-type symptoms, such as sneezing, runny nose, red eyes and skin rashes, according to the United States Environmental Protection Agency. Install weather-stripping around doors to seal gaps, and repair or replace damaged window frames to protect the home from rodents, insects, and other unwanted guests. Rodents and cockroaches, for example, may trigger allergy symptoms and even asthma attacks in those that are sensitive to them, according to the Centers for Disease Control and Prevention. The bonus is that by getting rid of gaps you will also improve the energy efficiency of your home. Apply these 4 C’s to your home project list, after all, a clean home is a happy [and healthy] home. 1. Radon tests identify traces of radon in the home that may have entered from cracks in the floors and walls, water supply, or pipes. 2. Water tests assess the water quality in your home and determine if there are high levels of contaminants in your drinking water. 3. Carbon monoxide tests check for signs that the gas may have been emitted by fireplaces, wood, coal, gas stoves, or heaters and not properly removed. 4. Visual septic dye tests inspect your septic tanks for signs of slow-drainage or back up.